Radical Islamists protested in London on Wednesday for Sharia Law in Great Britain. 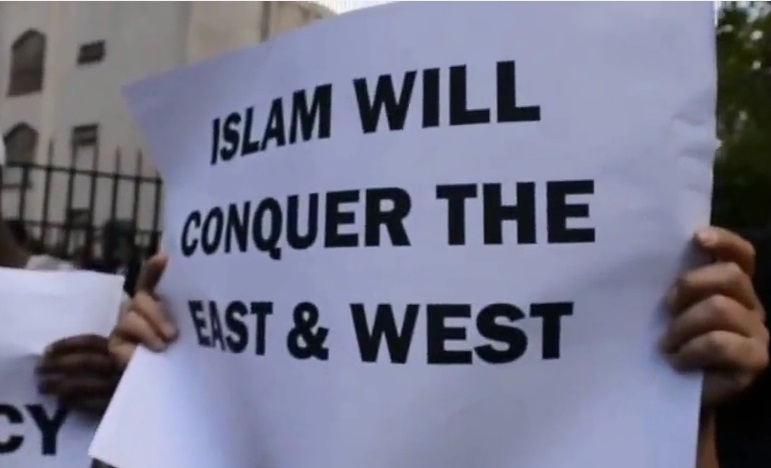 The radical Muslims also want Islam to conquer the West. The EU will take in another million third world migrants this year from Muslim Africa and the Middle East. The Muslims were angry at infidel David Cameron this week. Cameron spoke out against the Muslim Brotherhood as an extremist group recently.